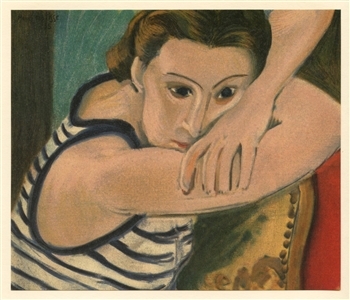 Henri Matisse lithograph "Blue Eyes"
Medium: lithograph (after the painting). Printed in Paris on smooth wove paper at the atelier Mourlot and published in 1954. Size: 6 x 7 1/4 inches. Signed in the plate (not by hand).